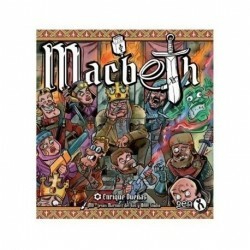 Macbeth - Games, Toys & more e.U. 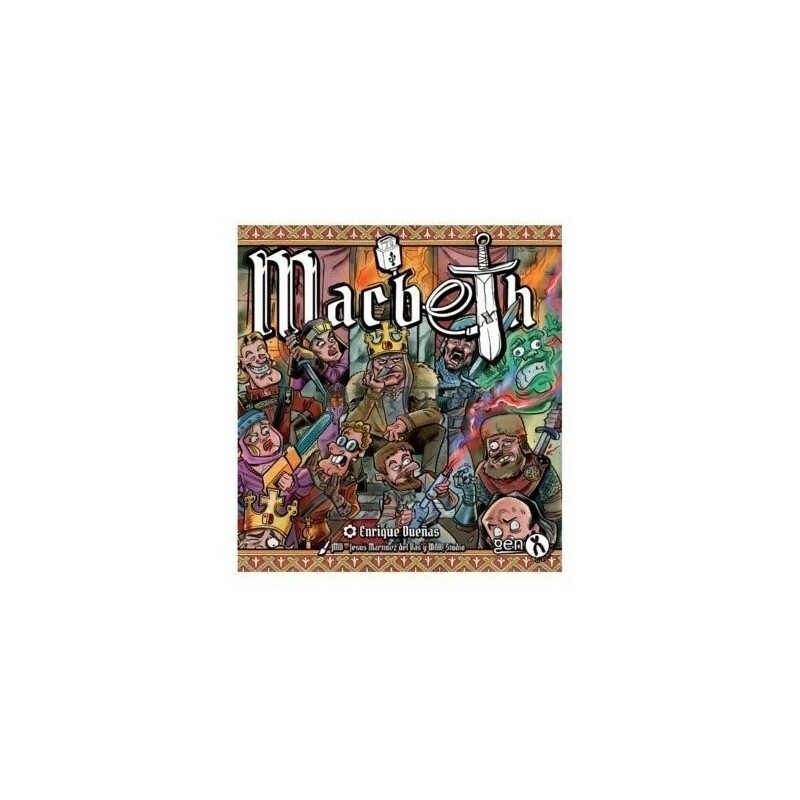 The Scottish court is a bloody mess!Barons and knights crush their heads with blunt objects, the witches don't stop talking and even Shakespeare himself has forgot his lines. And what about you? 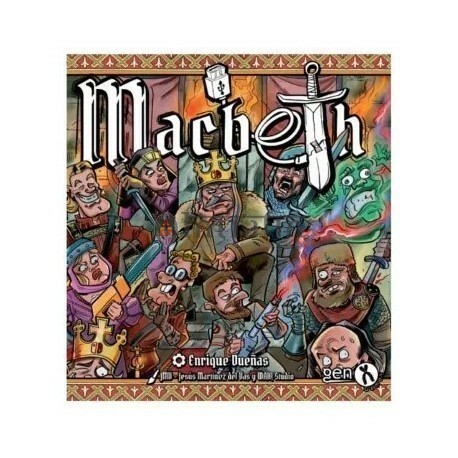 Will you be able to survive the ruckus and get to the throne?Macbeth is a crazy dice game from 2 to 5 players, very short and intense. Each player secretly supports several noble characters. A player will win if, at the end of the game, one of his nobles is king. But, BEHOLD! Do not think that it will be easy! if you want the crown, you will have to take risks, lie, bribe and stab every fool who cross your path. Also, if you have bad luck in the dice rolls, you will lose everything you have won before one would say "break a leg".Get ready for a game full of noise and fury that signifies ABSOLUTELY NOTHING!